In addition to speed, investigators are also looking into the possibility that drugs, alcohol, and/or fatigue may have been factors in the collision. At the time of the accident, many of the passengers had been asleep, expecting to arrive safely back into the Los Angeles area. The 13 confirmed fatalities were pronounced at the scene of the crash. The article described the accident as “among the deadliest in California in recent years.” The last time a major tour bus accident occurred was back in April of 2014, when a FedEx tractor-trailer crashed into a school bus on the I-5 north of Sacramento. Investigators do not currently believe that mechanical issues played a role in the cause of the accident. The bus had been inspected quite recently—in April of 2016—and had also been inspected annually over the last two years. During those inspections, no mechanical issues were reported. How often are buses involved in serious and fatal collisions on the highway? According to a fact sheet from the Federal Motor Carrier Safety Administration (FMCSA), large trucks and buses were involved in 3,978 fatal accidents in 2014. That number represents a 5% decrease from the previous year. 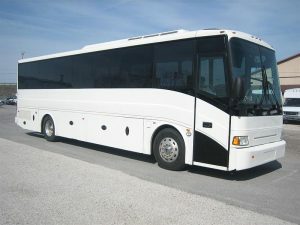 In terms of transit buses specifically, the FMCSA predicts that tour and other transit buses account for about 40% of all fatal bus accidents. If you have questions about filing a bus accident lawsuit, an aggressive San Diego bus accident attorney can discuss your options with you today. Contact the Walton Law Firm today.